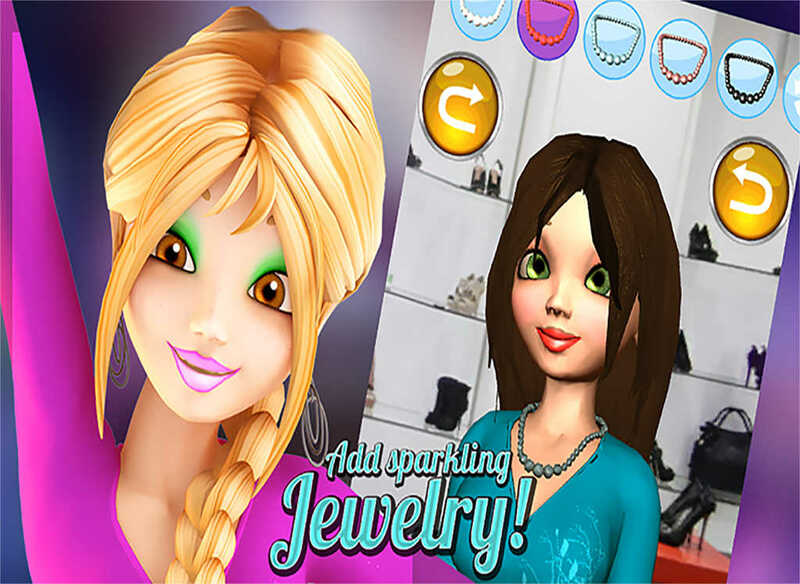 With this app you will be able to experience all the beauty treatments that they are normally going through for their public appearances. Here you will be able to design your own celebrity. Start choosing a skin color your princess model should have. After that, begin with some relaxing spa treatments to make sure that her skin is clean and as smooth as the one of a baby. Wash her hair and make it shine with some cool glitter effects. Another step will be to choose a nice haircut and to find the right make up. Moreover if you should think that she would look nicer with a different eye color, you will be able to apply her some colored contact lenses. To complete your work it remains only to choose the right clothing, shoes and accessories. At the end of the makeover you can speak with your personally designed princess and she will repeat everything you say. - Many different backgrounds: Sea side, shoe shop, forest, city etc.